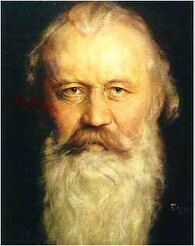 For those of you who love the cello, Johannes Brahms composed a wonderful pleasant warm cello sonata in E-minor. For Sunday mornings on the Tales classical weekend, we like to go with more serene peaceful pieces such as this to start the day. The first movement, in sonata form, is scored Allegro non troppo. So, please turn up the volume to enjoy this pleasant piece by Johannes Brahms for cello and piano. I don't know about Joel, but I loved it. Thanks, big Mike, for keeping me in touch with a bit of beauty every weekend. I played the cello in collage.